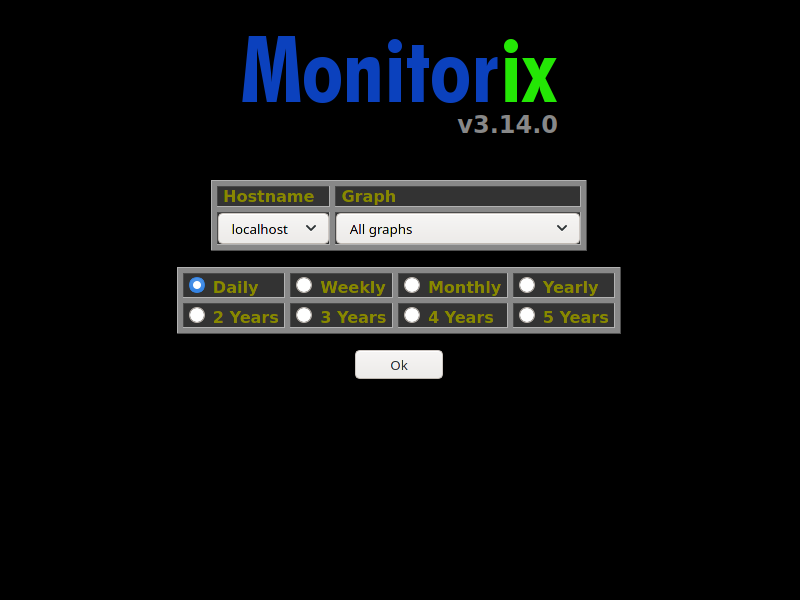 Monitorix main page using the default black theme. 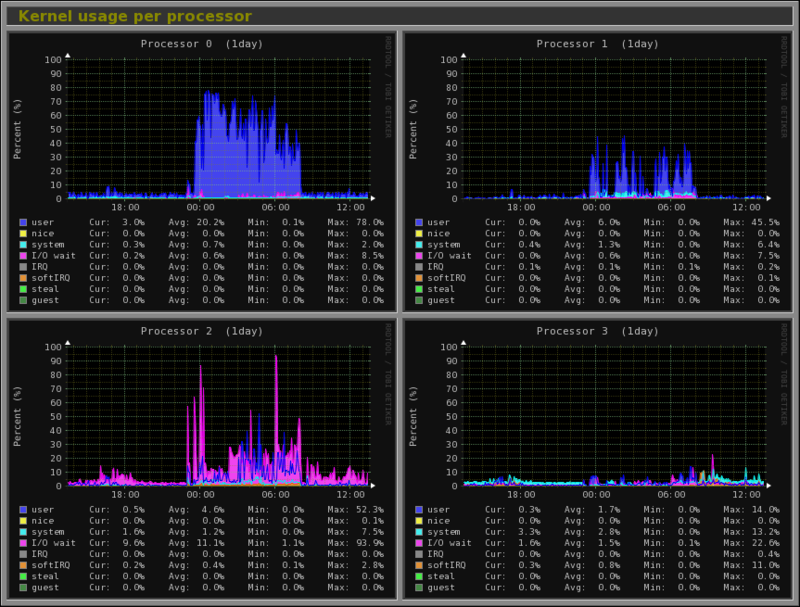 System load average, active processes and memory allocation. 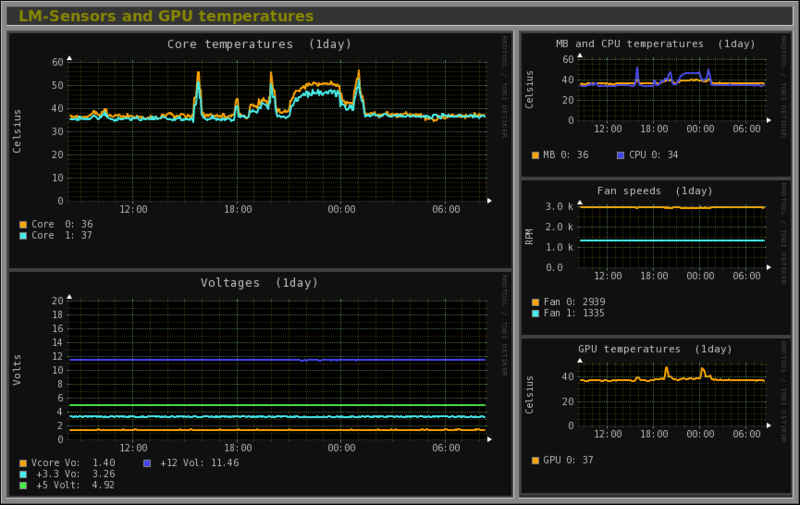 Complete LM-Sensors and GPU temperatures. 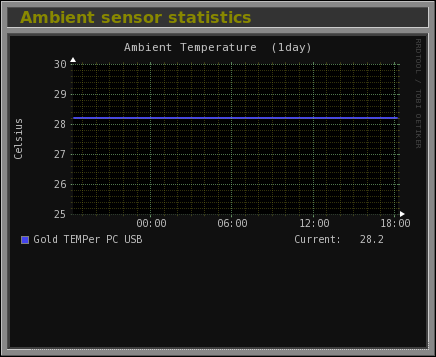 Disk drive temperatures and health. 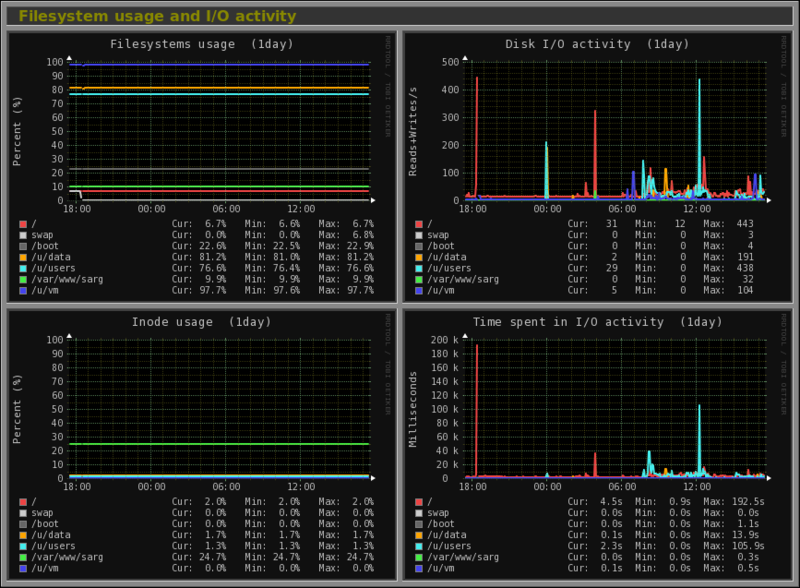 Filesystem usage and I/O activity. 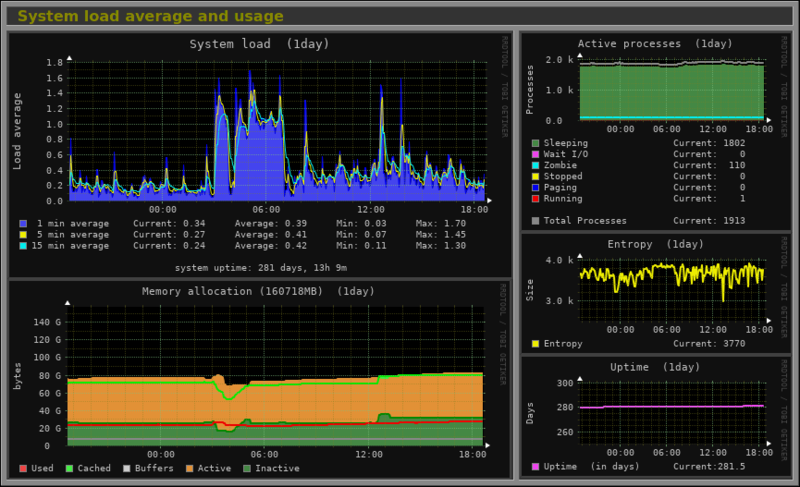 ZFS statistics with 1 pool named zfsbackup. 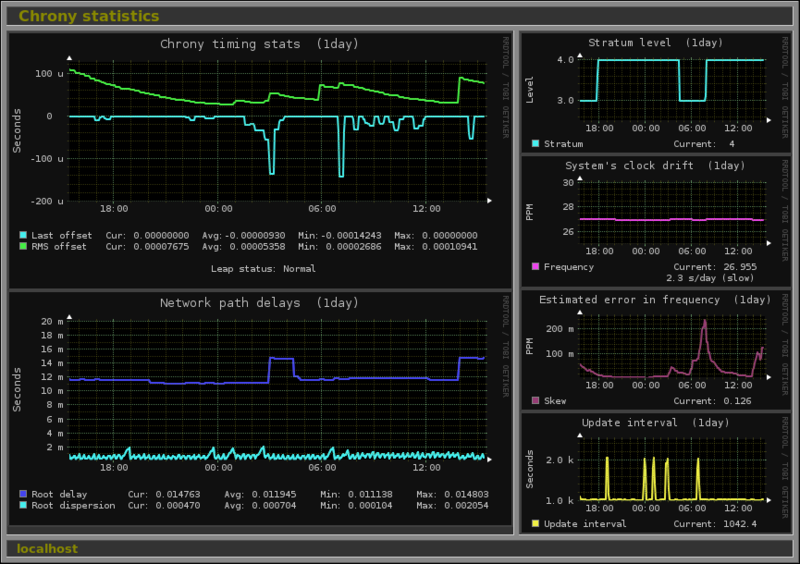 Ethernet interface with its traffic, packets and errors activity. 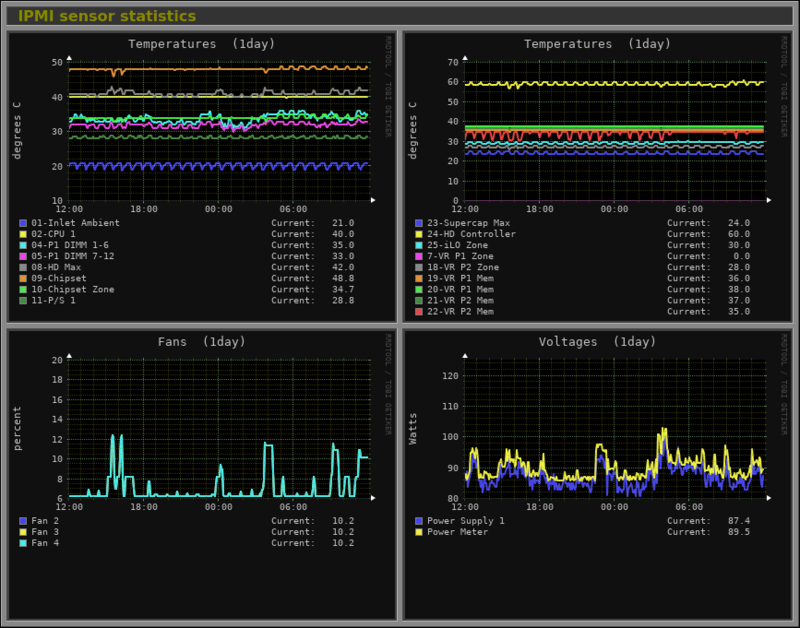 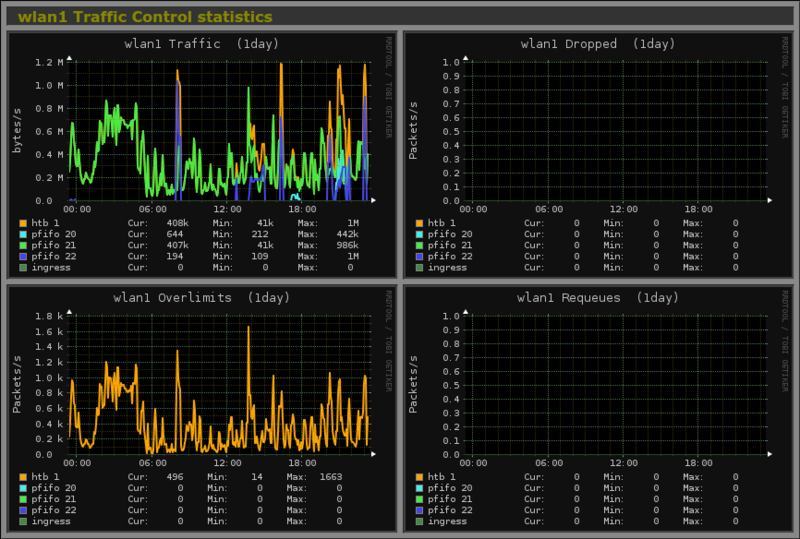 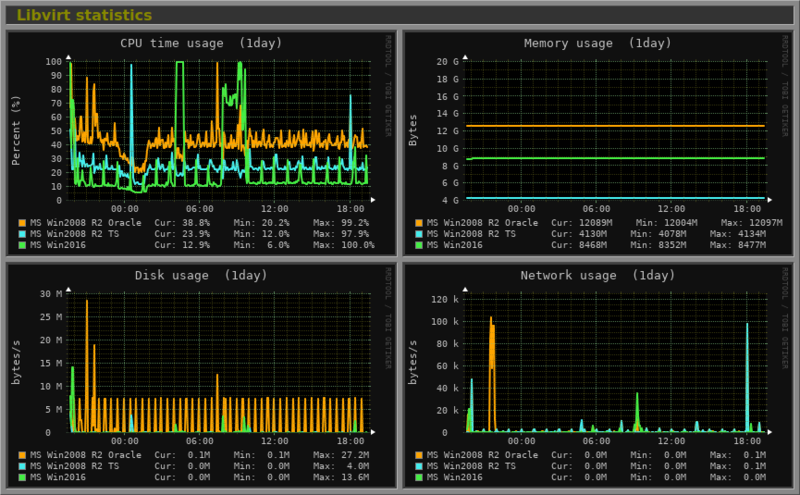 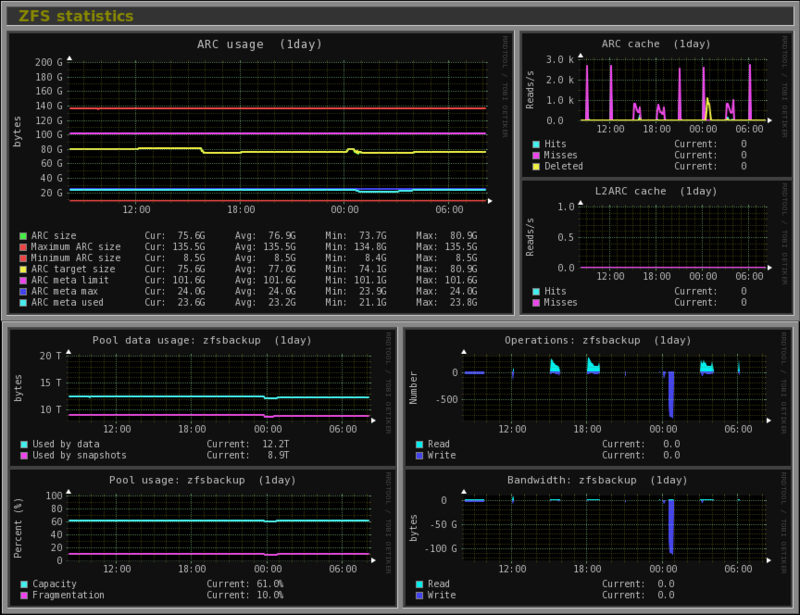 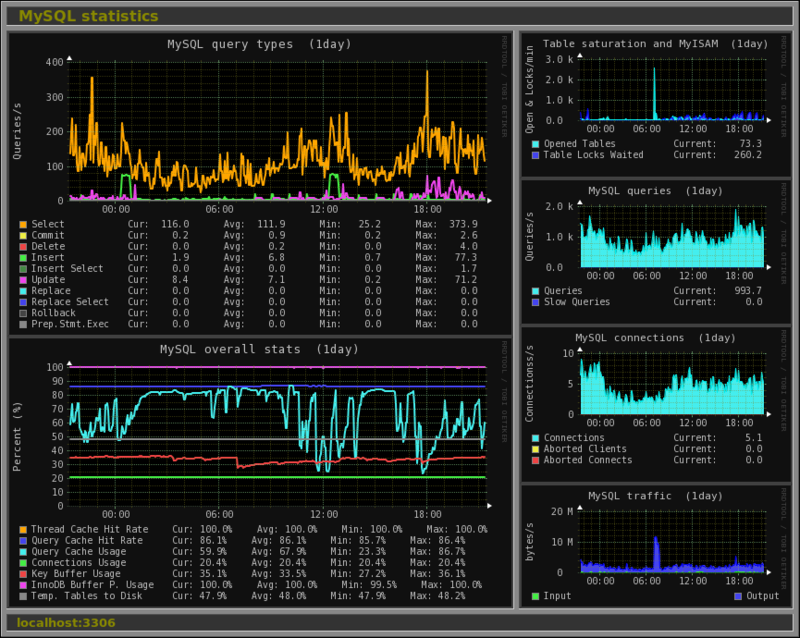 Libvirt statistics of 5 virtual machines. 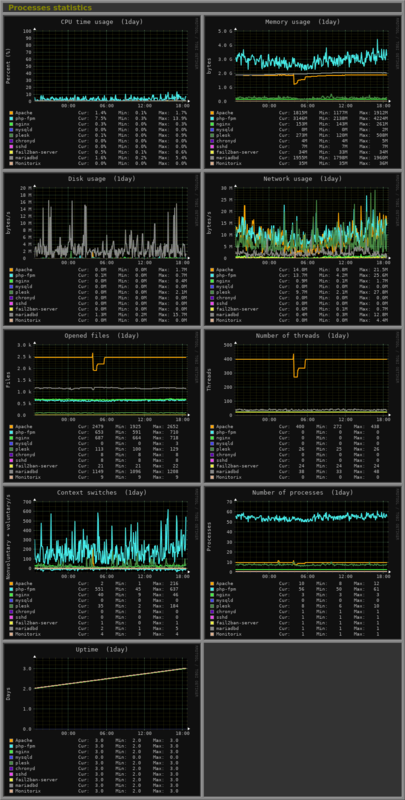 System services demand (in incremental mode). 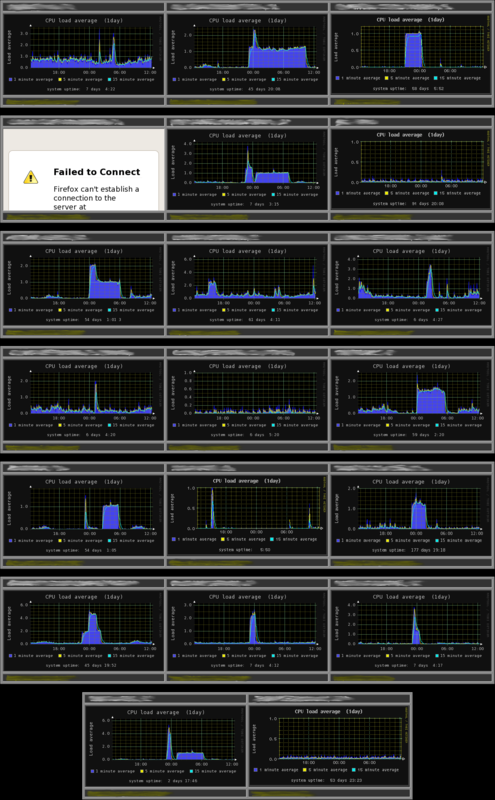 System services demand (in load mode). 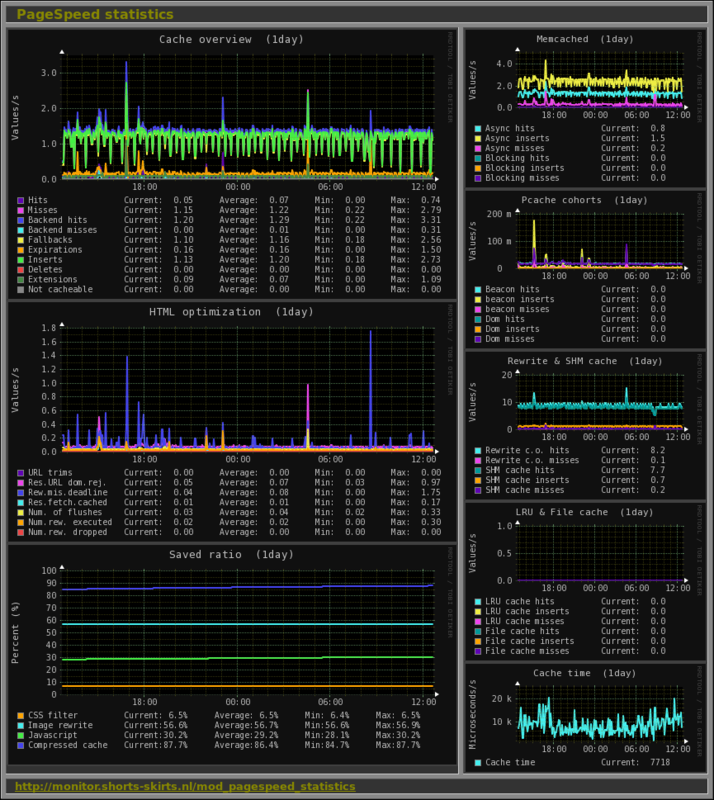 Squid Proxy Web Cache statistics. 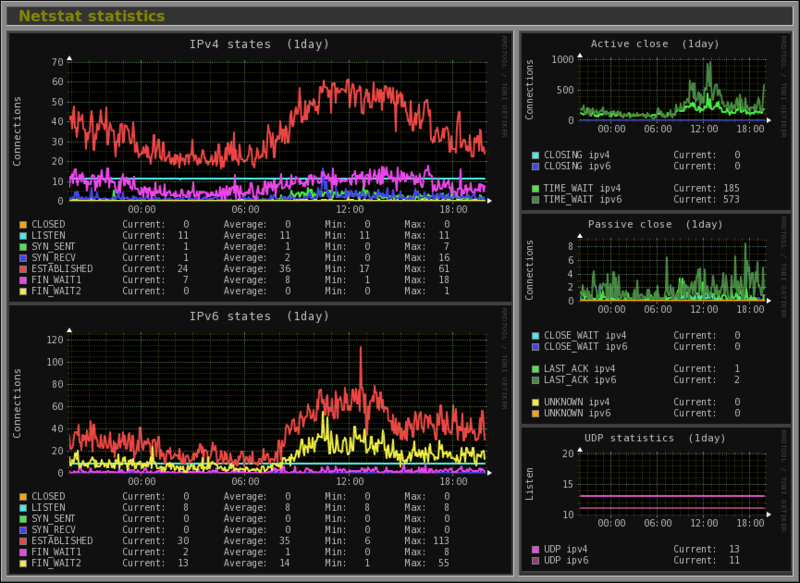 System load average of 20 remote GNU/Linux servers using Multihost view (with one of them down). 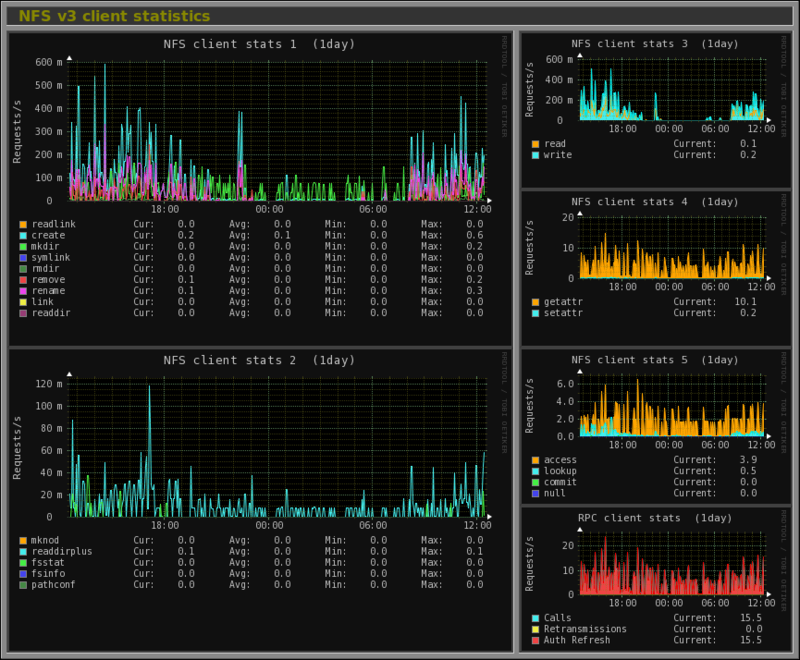 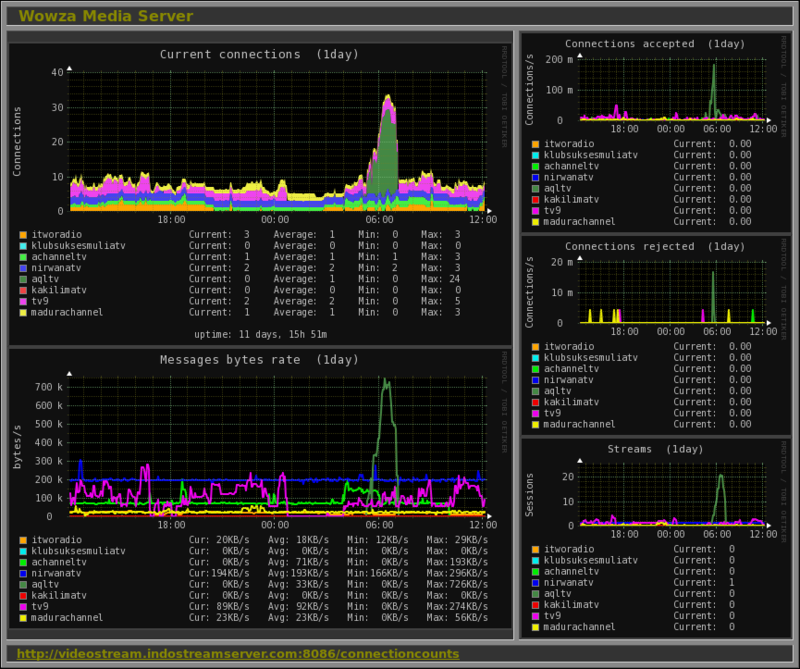 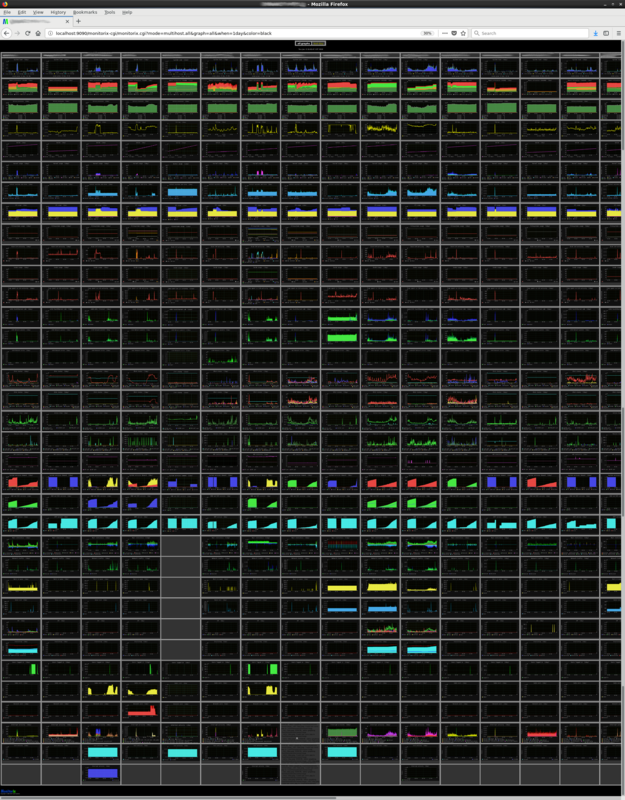 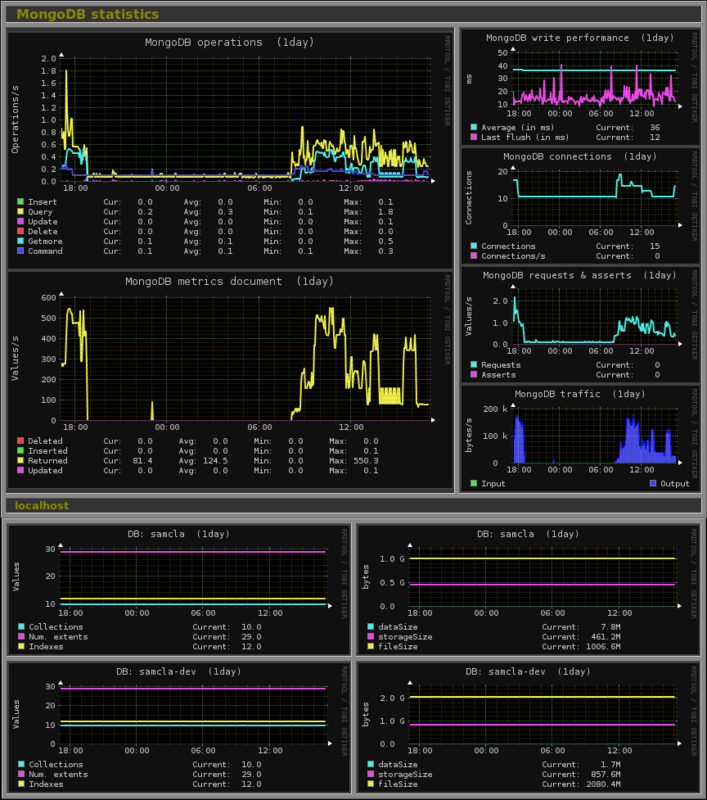 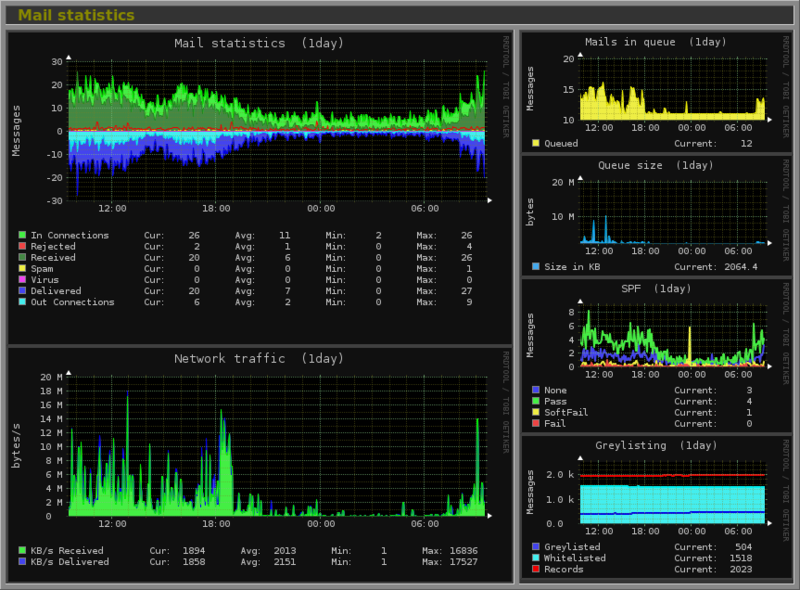 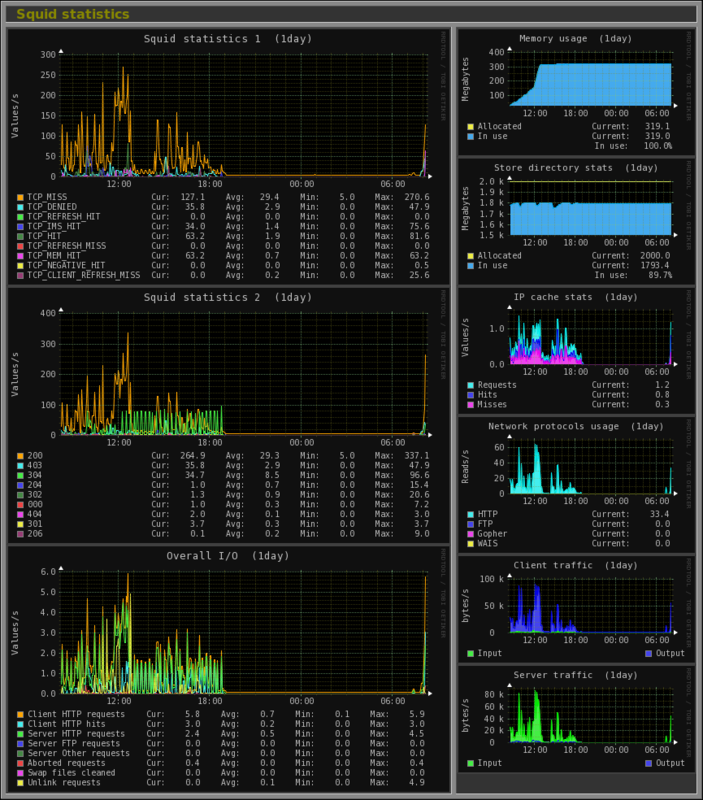 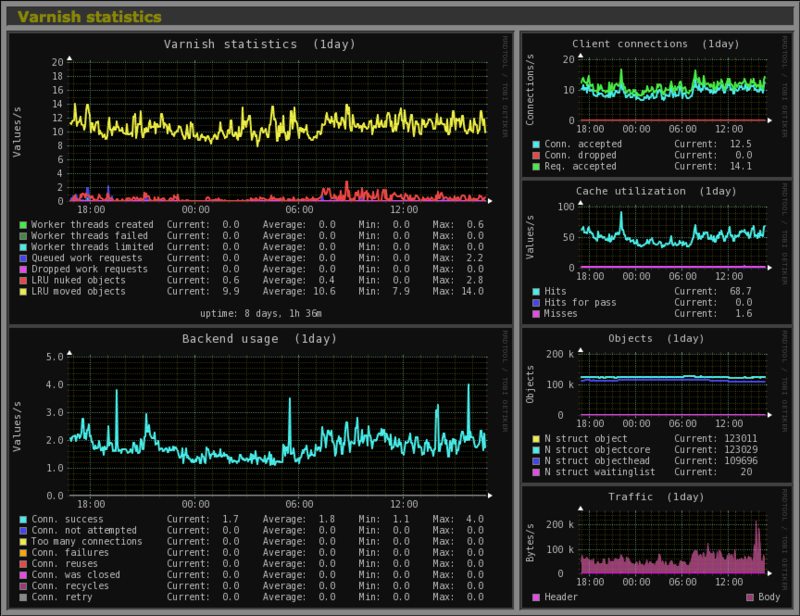 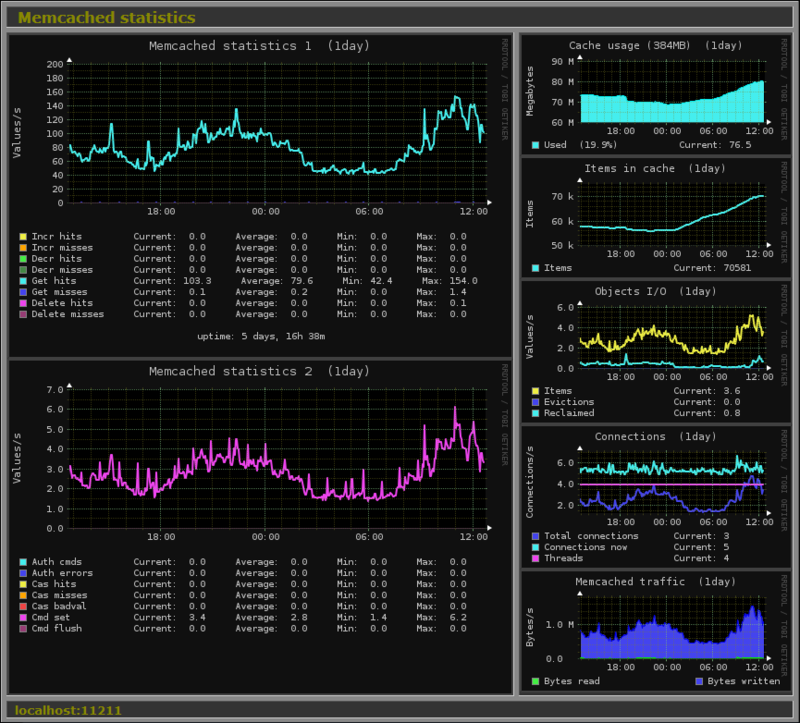 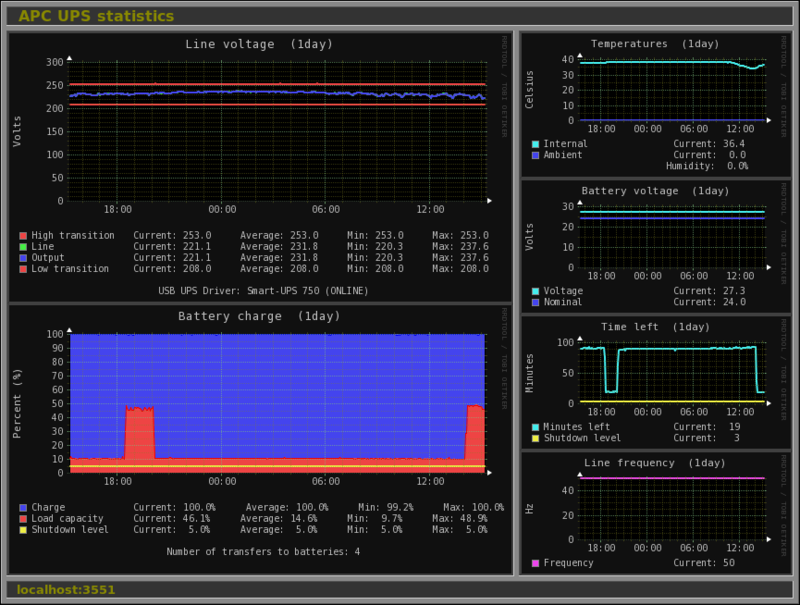 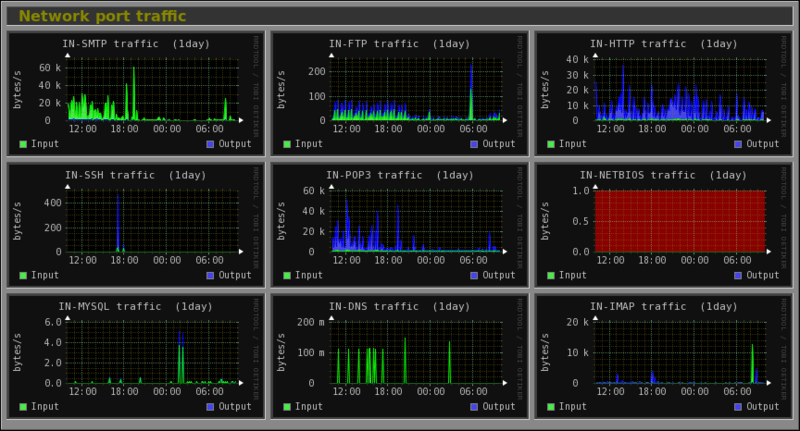 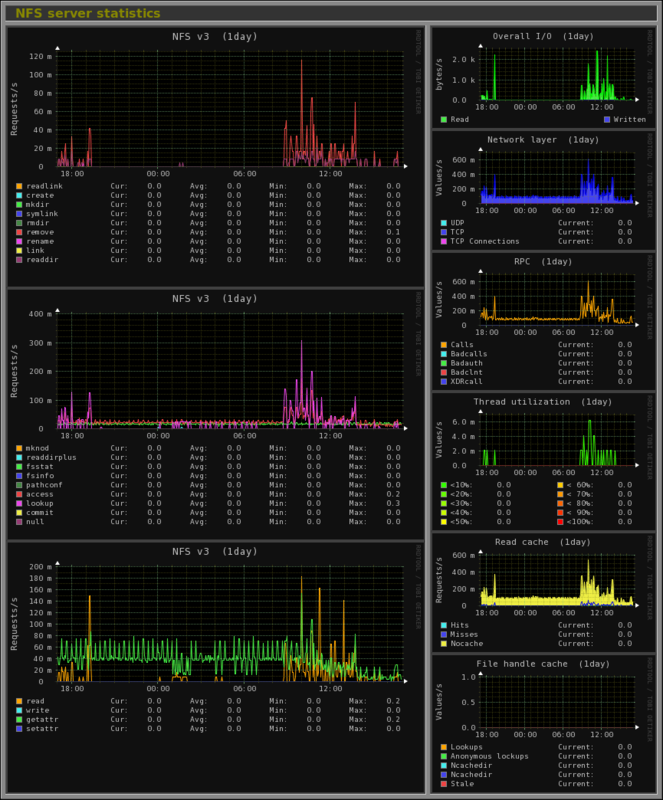 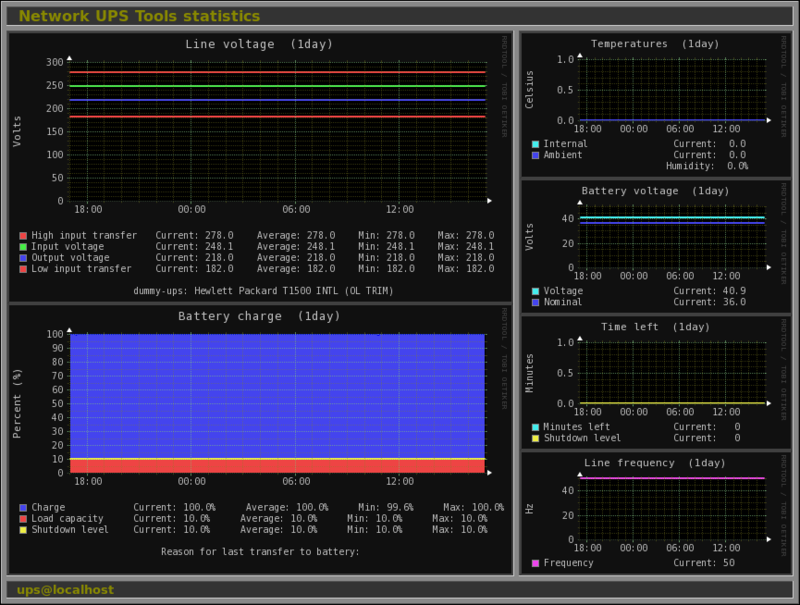 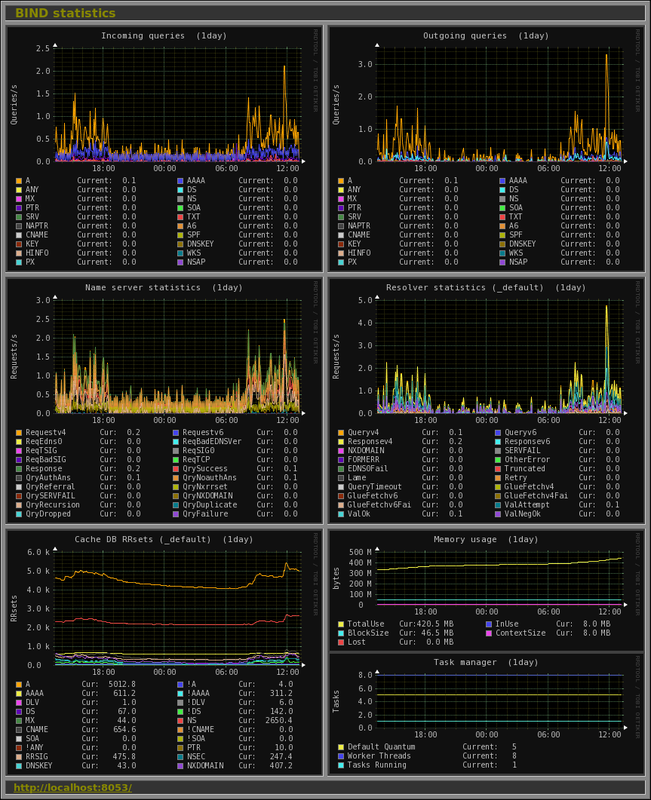 All graphs of more than 20 remote GNU/Linux servers using Multihost view.